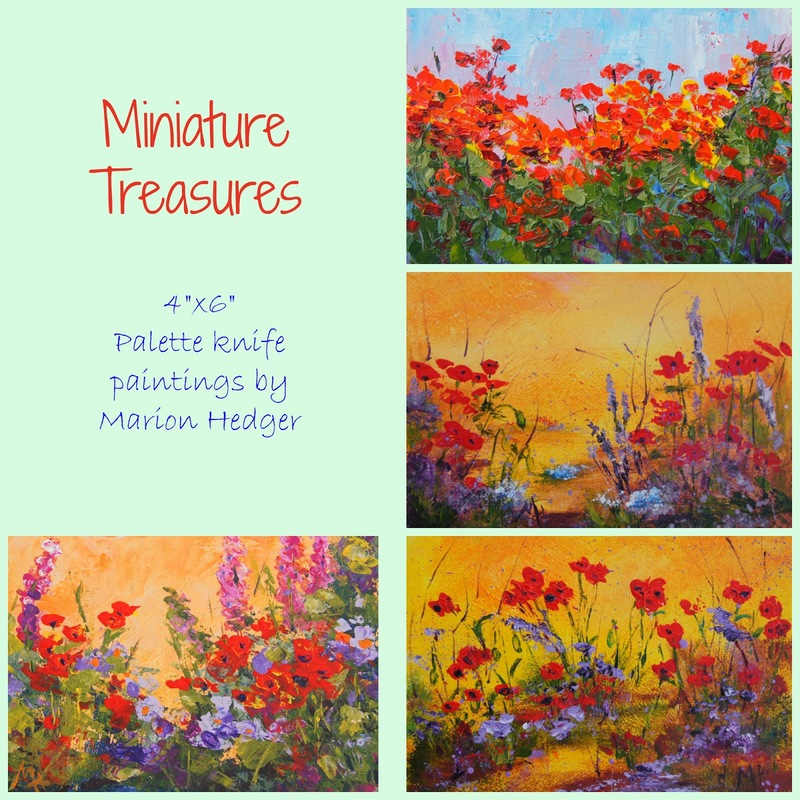 A collection of four of my 4"x6" Miniature treasure paintings in the garden series. The hardest thing about painting these small paintings is coming up with the idea. I can sometimes spend considerable time coming up with a suitable concept. I look through my photos, art magazines and web images for 'the spark', never copying but building on an idea.